Brian Ansel lives out in the suburbs of Detroit, MI where he works for one of the auto makers, on the marketing side of the business. 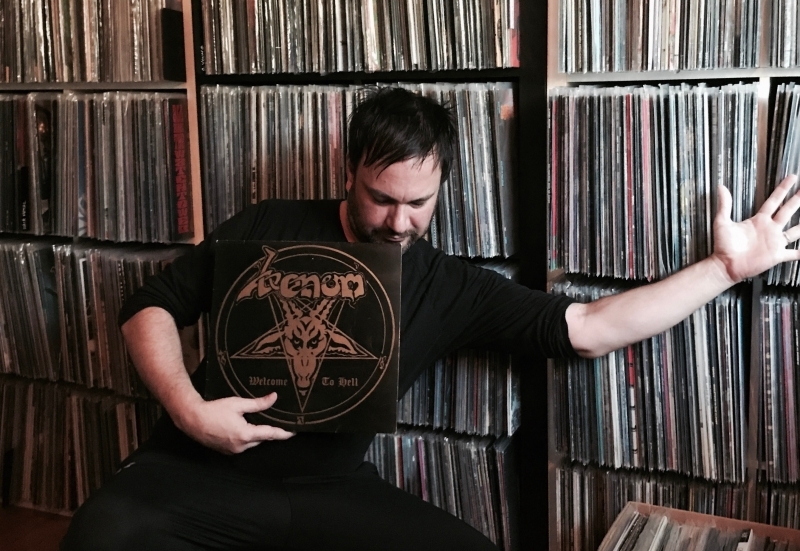 When it comes to heavy metal-related vinyl, Brian isn't one to be messed with. 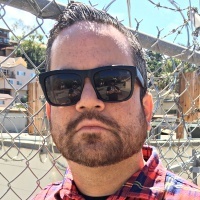 Scrolling through his Instagram feed is both a treat and torture for some, since the guy seems to have everything ever released in the genre from 1980 to 1990. Please join me in welcoming Brian to the Record Collector club. I’m the youngest of five, so I inherited my siblings' AC/DC, Sabbath, and Van Halen records at an early age. I guess the first record I actually bought on my own was in 1985, so I would have been around 13. It was a K-Tel comp called Masters of Metal that I bought at Kmart. It instantly hooked me to the heavier and scarier music. I grew up in a small rural town, so in terms of buying heavy music, I was limited to mail order through Hit Parader magazine. So I started buying anything Metal Blade, Megaforce, Black Dragon, or any other labels that were advertising in the mags. But as far as how long I’ve been collecting, I guess technically about 30 years, off and on. There was a period during the '90s where I virtually bought nothing. When the Internet came about, my buying increased exponentially! I go to a lot of record conventions/fairs and will drive a few hours if I need to. Small town record shows are always the best. A lot of the dealers are former record store owners that went out of business, and I enjoy talking to them. They generally have fair prices and are willing to give you a good deal. I use Discogs quite a bit to find more rare items, and eBay occasionally. I still have a couple local record stores near me that I visit every few weeks. UHF Records and Solo Records in Royal Oak are my favorite brick & mortar shops. I don’t generally go crazy with spending on single records. I paid a little over $250 for a first press Black Sabbath Vertigo/Philips pressing. That was probably the most. I got that on Discogs and I thought that was a good deal for such an historic record. I get really nervous about paying a ton of money for something that is going to be shipped, especially from overseas where it has a good chance of being mangled by the time it reaches me. What are some of the specific metal record labels that you especially seek out stuff from? These days, I tend to focus more on the private press/self-released metal stuff from the '80s and early '90s, and not so much specific labels. I have most of the stuff from my favorite labels, so it’s fun to hunt down the rare DIY stuff from the old days. Particularly in the US there were a lot of amazing bands that for whatever reason didn’t get signed to a label, and finding those is like finding gold to me. I’m also interested in different countries pressings of classic albums, like those Korean Ozzy pressings where he is removed from the cover. Any vinyl oddity or alternate artwork will always pique my interest! Man, that is a tough one! I would have to say it would be a Rainbow Rising record I have signed by Ronnie James Dio. I’m not a huge autograph guy, but this is probably my favorite album of all time, and Ronnie was such a hero to me. A friend had it signed for me many years ago, unfortunately I never had the chance to meet RJD myself. I also have a first press Venom Welcome to Hell on purple vinyl, which I understand is very rare (rumored 30 copies?). It was a garage sale record that I got really cheap. It wasn’t until I did some research that I found out what a treasure I had. That was exciting. The Internet has been a blessing and a curse as far as collecting goes. You can find virtually anything now, but valuation is all over the place. Where it used to be Goldmine that determined value, now you can have some maniac pay $1,000 for something that normally fetches $200 and then sellers think that $1,000 is the new bar. You can blame Discogs and Popsike for that [laughs]. That said, rare metal records have always been expensive even before the vinyl resurgence and before the internet. I suppose that a record is only worth what someone is willing to pay, and if the price is too high then you can choose not to buy it. That’s what I like about the record shows. The older sellers tend to be more realistic in terms of pricing their records. [Laughs] There are so many! I guess it’s more of a matter of finding things at a reasonable price since most records can be tracked down easily these days. I’ve been looking for a copy of Rose Bayonet Leather and Chains record for a while but the price is always a little to high for me. Slauter Xstroyes Winter Kill would be another. And, of course, who wouldn’t want an original Bathory yellow goat? Follow Brian on Instagram and Discogs.